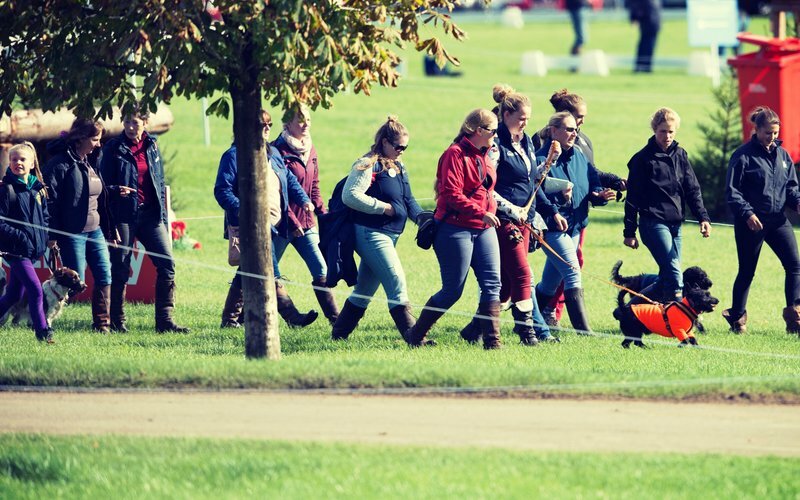 British Eventing Life | How does an event run? Also being new to the sport – whether that’s as a competitor, parent, owner or volunteer - can seem daunting; there are new rules to learn and regulations to follow all within the pressure of a competitive environment. But getting involved with the sport could be one of the most rewarding, fun and interesting things you ever do, and earlier this month Sophie Tunnah went along to one of the free Access All Area days put on by British Eventing Training & Education to find out how she could get more involved with volunteering. Sophie wrote a detailed blog of her day which can be read here, but we take a look at some her highlights from the day. Sophie found out about Access All Areas in an email from BE and made a last minute decision to book on to it at Belsay Horse Trials, which took place last weekend (2nd - 3rd June); “I've often thought about fence judging as I know a couple of people who do it and seem to really enjoy it. After all these events simply would not run if it was not for the volume of volunteers that give their time, effort and enthusiasm. Along with speaking to volunteers the day brought them into the lorry park where they got to talk to competitor Douglas Edward about his preparations and the rider’s perspective on eventing. Back to the secretary’s tent to steal a few minutes with Amanda, who “had taken the week off work to ensure that everything was prepped just as it should be,” the team ensure everything is organised from the first competitor pulling in on Saturday morning through to the last one leaving on Sunday evening. You can read Sophie's full round up from the day over on her blog here. If you would like to find out more about Access All Areas check out the BE website HERE. See more details about the different volunteering roles and how you can get involved HERE.